How Close is too Close? Find out in the new VR Campaign. 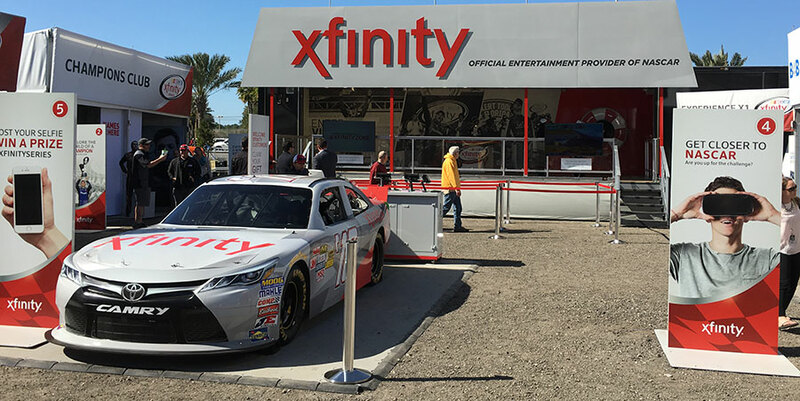 Groove Jones created a VR experience for Comcast Xfinity that launched at the Daytona 500. We take fans from their living room into a breathtaking, edge of your seat ride and climatic pile up on the track. Xfinity NASCAR is your one-stop for streaming live NASCAR Sprint Cup Series and NASCAR XFINITY Series races. The main driver Xfinity asks – How Close is Too Close? The project was created using both live action 360º video captured on location in Orlando and high-end CG animation. In order to achieve the dramatic car wreck at the end of the experience, the entire 30-second pileup was created using computer graphics. Below is an image showcasing the early CGI images. To the right are final rendered images seen in stereoscopic VR. The experience launched at the 2016 Daytona 500. Groove Jones worked with GMR on the activation. The experience can be seen at NASCAR races across the country. For the initial launch, custom branded Google Cardboard viewers were distributed. 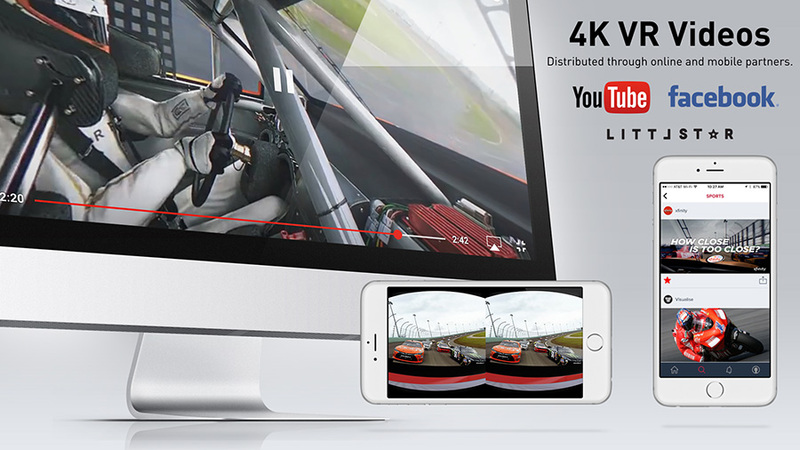 Part of the digital strategy leveraged 4K VR videos across online and mobile partners. 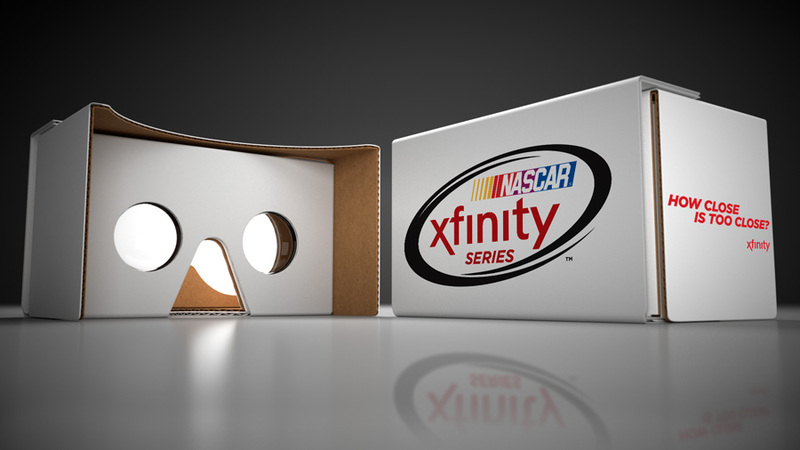 NASCAR fans can get a little closer to the action this season thanks to the Xfinity Virtual Reality Experience. 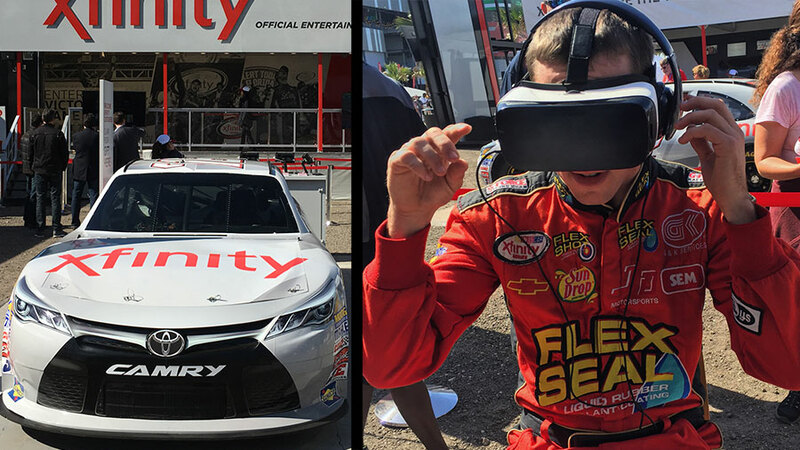 Having made its debut at Daytona the Xfinity Virtual Reality Experience simulates an on-track experience for users. Several XFINITY Series drivers including Darrell Wallace Jr. Erik Jones and Brendan Gaughan gave the experience a test-drive. Wallace was impressed.